There are many ways you can get involved, no matter what your schedule! Check out some of the other great opportunities below and complete the Volunteer Interest form to sign up for what interests you! Lunch Bunch is a great way for you to get to spend time with your child's class and also give his/her teacher a nice break in their day! Room parents will send out SignUpGenius links to sign up for open slots throughout the school year. Our Book Fairs are usually held twice a year - once in the Fall and once in the Spring - and we use volunteers to get it set up, staffed for the week, and disassembled at the end of the sale. For more information, email bookfair@oakviewpta.com. This is a Fun Run that children will participate in during the Fall. Parents, Grandparents, Friends, and Family can pledge a “per lap” amount or a “flat donation” to support the child. Children usually run between 30 & 35 laps. 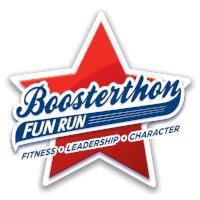 For more information, email boosterthon@oakviewpta.com. This committee collects, sorts, and counts all the Box Tops for Education that are turned in throughout the year. For more information, email boxtops@oakviewpta.com. This is our Holiday Shopping opportunity for Oakview students that happens just before the Winter Break in December. For more information, email elfshelf@oakviewpta.com. This committee supports Mrs. Demeritt, our school's primary Science Teacher, with various activities throughout the year, including Garden Work Days and America Recycles Week. For more information, email environmental@oakviewpta.com. For more information, email hootenanny@oakviewpta.com. Our Hospitality Committee works hard throughout the year providing faculty snacks, teacher luncheons, and supporting other events like the the Volunteer Breakfast. For more information, email hospitality@oakviewpta.com. Are you an accountant, a marketing person, a writer? There are numerous opportunities to serve in a leadership role within the PTA. From Treasurer to Acorn Editor to Spirit Wear Designer, we are always looking for talented individuals to serve on our Board. Do you have 30 minutes a week and want to make a real difference? Please sign up to be a reading tutor and help a child learn to read! You may be the one that gives that struggling student the confidence needed to work harder and succeed. Please e-mail Sherrie Brookie at sbrookie@greenville.k12.sc.us. Throughout the year, the Related Arts teachers need assistance to support various events. No knowledge of Music, PE, or Art required. For more information, email relatedarts-coordinator@oakviewpta.com. Are you looking for an opportunity to volunteer alongside your student? The School Store is a great way to do so! Our School Store is open from 7:25 - 7:55 am every Tuesday-Friday and we are always looking for volunteers to staff it. Click here to sign up. For more information, email schoolstore@oakviewpta.com. Watch D.O.G.S. (Dads of Great Students) committee supports the school's Watch D.O.G.S. program in a variety of ways, from communications to schedule coordination. Click here to sign up for a particular day. For more information, email watchdogs@oakviewpta.com. Oakview PTA uses SignUpGenius, an online volunteer scheduling tool for teachers and room coordinators to organize volunteer opportunities and donations requested by the classroom teachers. If you haven't done so already, you can create a login at signupgenius.com.